Cali4Dre: Detroit Tigers. The pitching staff is strong and young at the top, with Verlander and Porcello ready to carry the load. The offense is still pretty strong… love Austin Jackson as fantastic replacement for Grandy. Magglio’s bat looks to be back, Cabrera is sober, and Sizemore will be another great rookie-producer on this team. This is the year they get it together and hold off a weak Twins and White Sox combo. The crew sure believes in "the power"
Chappy: Texas Rangers – I don’t want to jinx the A’s before the season even starts, so I’m taking the Rangers rallying behind their drug attic coach and best hitter. I hope Mceezy just picked the Angels to jinx them, but I’m scared he’s probably right… This is the most balanced division in baseball! Dyslecix: Anaheim Angels – Until proven other wise the Angels reign supreme. Cali4dre: Anaheim Angels – Even with all of the subtractions, and not enough additions it would seem, have you seen the teams they compete against in the West? The A’s are just not ready, the Mariners won’t be healthy (and I’m also talking about that cancer Bradley), and Texas will have another season full of football scores where they just can’t make the winning field-goal. Mceezy: Texas Rangers – They stayed in the hunt for the greater portion of last year, and Wash really went out of his way to bring the team together this offseason. Chappy: Tampa Bay Rays – No Boston in the playoffs?!? Yup, that’s what I’m predicting! I think they will squeak it out in their last real hope at a championship before this team is blown to smithereens. By: Seattle Mariners – Ichiro Suzuki is prime for a fantastic year, which will result in a Wild-Card berth. Dyslecix: Yankees – This is an easy one. Cali4dre: Boston Red Sox – I mean, is this the most common pick out there, right behind the Yankees winning the East? I don’t like the pitching/defense first concept with the Yankees sitting there with murderers row year after year, but I think that’s what happens when the bats out there are as poor as they were this offseason. And a guy like Lackey is out there to sign. Chappy: Tampa Bay Rays – If they survive and make the playoffs, I’ll pick them to win the AL. By: Boston Red Sox – Why? Because I hate the Yankees, and so in reality, any team aside from N.Y. will suffice. Dyslecix: Yankees – I might seem to be contradicting myself, but no….the Yankees have what it takes to get it done in crunchtime. Cali4dre: Yankees – That’s what $206M (according to ESPN) can buy, a nice 2010 AL Pennant. Not to mention it could buy the Pirates or Padres six times over, take your pick. Mceezy: Miguel Cabrera – He’s due for a big year, and maybe Tex and A-Rod will split votes with each other. By: Ichiro Suzuki. Yeah it is a stretch, but I’m going for it. Cali4dre: ARod – Seriously, in that line-up, on that team, how can you pick anyone else besides maybe Teixeira?? Did I forget Jeter? They have 3 MVP candidates then. Mceezy: CC Sabathia – CC will struggle through April, as is typical, and then be lights out for the remainder of the year to lock up the trophy. Chappy: Felix Hernandez – I’m feelin two Kings getting awards this year, James and Felix. By: CC Sabathia – Why? Because he’s from V-Town, and so he’s the only acceptable Yankee to root for. Dyslecix: Zack Grenieke – Because he has the best stuff in baseball on the worse team…he gets his this year, again. Cali4dre: Justin Verlander – Now that Roy Halladay has left, it would appear the CY is an open race. Greinke seemed to be a bit of an anomaly last year, it’s hard to give it back to him. If Detroit can put together a good season, Verlander will be in this race til then end and beat out King Felix because of Team success. Mceezy: Chris Carter – Hometown pick here. I’d rather not see this come to fruition, unless Carter forces his way onto the big league roster and never looks back! 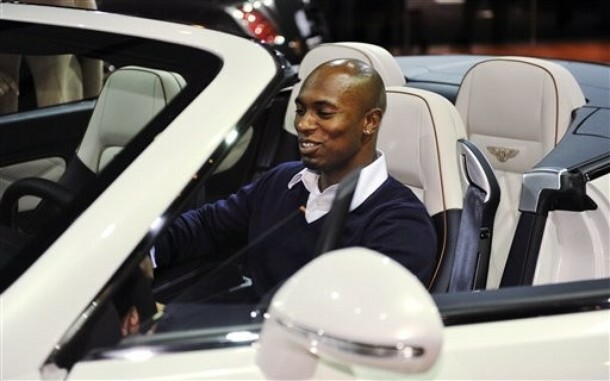 Chappy: Austin Jackson – I want to pick Carter or Taylor, but don’t want to jinx them! By: Whatever Mceezy or Chappy says – Why? Not to keen on the AL prospects. Dyslecix: Brian Matuz – He’s the best young pitcher in baseball nobody has heard of. Cali4dre: Austin Jackson – Kid is for real, the Tigers made out nicely in getting Granderson 2.0 out of Austin. And at a fraction of the price and minus 6 years of the wear and tear. Big-time 5 tool prospect will catch everyone’s eye this year. Mceezy: Joe Mauer – He’s the reigning champ, but can he hit outdoors?! Chappy: Joe Mauer – Three time batting champ 06, 08, and 09, why not in 2010 too. Plus, he wants to prove that the whole video game cover thing is a fluke! By: Joe Mauer – Why? Because he went to Cabo with the Playstation guy! Dyslecix: Ichiro Suzuki – No way Mauer does it back to back. Cali4dre: Suzuki Ichiro – Hard to not want to go with Mauer again, but I think Ichiro will be back in prime fashion and Mauer will come back to earth a bit. Ichiro must be upset about last years performance, and although father-time is catching up to Ichiro, he’s just to good and has the will to bounce back to form. Mceezy: Miguel Cabrera – What else is he going to do? Chappy: Evan Longoria – Why not. If he hits a lot of homers like I predicted he should have a lot of RBI’s. By: Carlos Pena – Why? He did it last year didn’t he? Cali4dre: Carlos Peña – Ya, this one is pretty far out there, especially after I chose A-Rod for MVP. But I think with a full season of Pena Healthy, in a line-up with guys like Upton, Zobrist, Crawford, and Longoria, he’ll keep the same pace he had last year when he got injured (HR every 12 at-bats) and reach 50 if he can get to 600 ABs. Mceezy: Mark Teixiera – I don’t care how many RBIs Teixeira has, but it’ll probably be a lot. Chappy: Alex Rodriguez – He has to get some love somewhere in these awards, eventhough I hate him. By: Evan Longoria – Why? I gotta pick this guy for something, right? Dyslecix: Mark Teixiera – Loaded lineup enough said. Cali4dre: Evan Longoria – I’ll stick with the Rays here and go with the smooth swinging third-baseman hitting 5th in a loaded line-up. This is a hedge, because if Peña does hit 50, Longoria doesn’t win the RBI title and barely breaks 100. But if Peña doesn’t hit 50 (or gets injured, very likely), he’ll easily cruise past 100 on his way to 130. Mceezy: Atlanta Braves – This is the Braves’ year. Chipper is gonna put together one last run. He stole a base in the opener – tell me he’s not fired up! Chappy: Philadelphia Phillies – The best team for the past few years shouldn’t change this year, as they lost nobody, and gained experience. By: N.Y. Mets! Just kidding, the Atlanta Braves – Why? They got the future NL ROY and a re-tooled lineup. Dyslecix: Philadelphia Phillies – Duh! Cali4dre: Philadelphia Phillies – Won’t even be close. They may have clinch by the All-Star break. JK. The Braves and Mets will be too busy beating each other up to notice the Phillies running away with it, and the Marlins and Nats are too young and flat out not good enough. The Phillies will win 100+ and probably won’t need to play their starters at all in the second half of September. Mceezy: Milwaukee Brewers – A Braun-Fielder duo is as good as a Pujols-Holliday duo, but the Brew Crew has more depth. By: St. Louis Cardinals – Why? The Machine! Dyslecix: St Louis Cardinals – In a landside no less. There just to good. Cali4dre: St. Louis Cardinals – With Carpenter back to form at the top, and the line-up stocked with talent with the addition of Holliday, they will run away with the Central as well. It’s going to be a boring season folks, not much to see in September in the NL. Only place the Cards might be weak is the bullpen, but maybe Pujols can pitch the 9th along with everything else he does for that team. Mceezy: Los Angeles Dodgers – They’re simply too stacked. Sure, the Giants have better pitching, but the Dodgers are more well-rounded. Chappy: Los Angeles Dodgers – I think this will be Manny’s bounce back year. I mean the guy is playing for one final contract right!?! This division is wide open and I wouldn’t be shocked if the Giants or Rockies took the crown away from the Dodgers. By: San Francisco Giants – Why? Don’t ask. Dyslecix: Colorado Rockies – Totally loaded offense, and two top pitchers is enough to get it done in the NL West. Cali4dre: Los Angeles Dodgers – They spend more than anyone else, they have the line-up to bash the rest of the West, and the only teams that might have a chance to scare them are the Rockies and Dbacks. This race will be closer, but not by much, as I see the Dodgers making some midseason moves to compete with the Phils and Cards. Mceezy: Philadelphia Phillies – Even though the Braves will steal the crown this year, the Phils will still get the fourth postseason berth. By: Philadelphia Phillies – Why? Being that I have the Braves winning the NL East, there has to be a spot reserved for the Phillies. Dyslecix: Los Angeles Dodgers – They seem to have a nack of sliding into the playoffs each year somehow…the trend continues. Cali4dre: Atlanta Braves – They are the best of the rest in the NL, and I think they are in great shape to win now in for the next several years. It’s going to be hard for Bobby Cox to call it quits when he sees this talented squad gel as the season progresses, but they don’t have what it takes to get to the next level… yet. Mceezy: Atlanta Braves – Again, this is the Braves’ year. By: Atlanta Braves – Why? Because it’s been awhile since the “Tomahawk Chop” was on the minds of baseball fans. 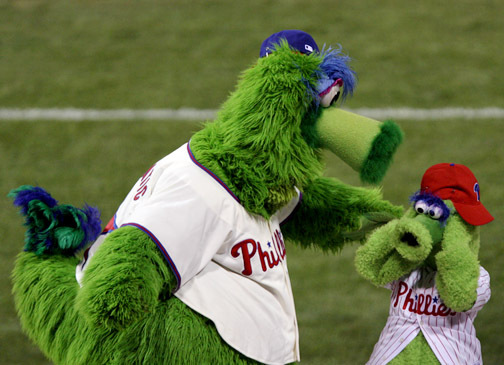 Dyslecix: Philadelphia Phillies – They’re just to good. Cali4dre: Philadelphia Phillies – Are you kidding? The line-up is still all there, with the addition of contact-machine Polanco. Did you hear they also picked up Roy Halladay? And Cole Hamels has found his confidence and velocity in spring training. If someone like Happ or Blanton can finally come into their own in the 3 spot, the Phils will walk through the post-season. Mceezy: Ryan Braun – Braun will amass 30 HR, 120 RBI, 20 SB, .300 Avg, 40 Dbl, and 120 runs this year. Those are MVP numbers. Chappy: Prince Fielder – If Mceezy thinks Braun will amass that sitting in front of Prince, he shouls be able to duplicate those numbers. By: Barry Bonds. What? I can’t say that? Fine, Albert Pujols. Dyslecix: Albert Pujols – Moving right along. Cali4dre: Albert Pujols – Yeah, I’m not going off the board here… not if I want to get this right. He’s got more protection in the line-up with Holliday, his nickname is “The Machine”, and vets like Big Papi are now coming to him for advice. He just turned 30, he’s a leader on and off the field, great glove, plays hurt, he’s in a contract year… what else can I say??? Mceezy: Dan Haren – He’s always a contender, it’s just a matter of standing out at the right time. Lincecum would have to put together a monster season – and very well could – but I think we’ll see someone else hoist the trophy this year. Dyslecix: Adam Wainwight – My heart says Timmy, but three times in a row? Cali4dre: Roy Halladay – He went from front-runner in the AL, where he made half his starts against the Yankees and Red Sox, to super front-runner in the NL, where he’ll make half his starts against the Nationals and perma-young Marlins. The only way Halladay doesn’t win 20 games this year is if he doesn’t pitch that much in September because the Phils are so far ahead in the race. 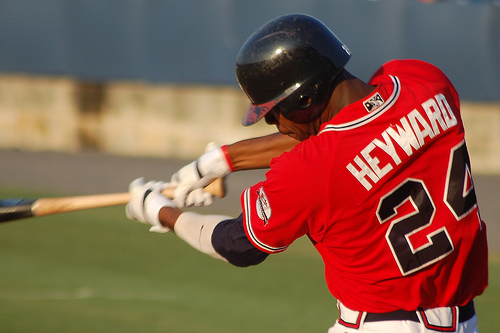 Mceezy: Jason Heyward – Yeah, I’m not gonna lie. He’s damn near a unanimous pick. I’m just following the masses here. Chappy: Jason Heyward – The hype machine is making this kid out to be a superstar, and if that’s the case he should win the ROY award with ease. Starting in the outfield from Opening Day should give him the AB’s he needs to lock this up. By: Jason Heyward – Why? The hype on him seems to be warranted, so this should be cake for him. Dyslecix: Stephen Strasburg – I know Jason Heyward is the hot name early in the season. But Strasburg winning 10 games after late June for the worst team in baseball get’s it done. Cali4dre: Jason Heyward. The real deal, that’s all I can say. You’ve heard the hype, and it’s legit. The average might suffer as it usually does with rookies, but the pop is there. He looks to me like a Ryan Howard prototype, but has made it to the bigs five years younger. Again, Booby Cox may decide to coach until he’s 90. Mceezy: Albert Pujols – I think Pujols is going to have the most monstrous year of his career, and one of the greatest ever in baseball. Yet I have Braun winning the MVP…. Chappy: Hanley Ramierez – He won his first batting title last year, and as a career .316 hitter, I don’t view it as a fluke. Not sure he’ll hit .342 again, but that’s NOT out of the question. Cali4dre: Brian McCann – If Mauer could do it last year, I definitely think McCann can get it done this year. He has a great eye, a smooth power stroke, and now has even more protection with Heyward in that line-up. He’s a hitting machine, with 3 silver slugger awards already at the age of 26. Granted it’s at the catcher position, but that may help him keep his at-bats low enough to make his hits count for more. Mceezy: Albert Pujols – He’s on pace for 324 through one game. Chappy: Prince Fielder – Tough to go against a 25 year old just hitting his prime. He hit 50 two years ago, and 46 last season. Dyslecix: Adam Dunn – He hits 40 or more with out fail, I think it’s his year to get the crown. Cali4dre: Albert Pujols – It’s just not funny how efficient his swing is, how good his eye is, and how strong he is… like they say, he’s the machine. I think Ryan Howard and Prince Fielder will be right there this year, but Pujols, if he can stay healthy, has a pretty good shot at the triple crown every year for the next 5 to 7 years. Mceezy: Ryan Braun – He won’t have the HR or AVG that Pujols will, so he’s got to make it up somewhere if he’s going to win the MVP. Chappy: Ryan Howard – He averages close to 140 per year, that’s going to be close to leading the league. By: Ryan Howard. He swings at everything, and more times than not, he connects. Dyslecix: Albert Pujols – Flirts with a triple crown this year. Cali4dre: Ryan Howard. Again, the Phillies line-up is incredible, the only line-up that can rival the Yankees. When you have to move a guy like Victorino down to 7th, you’re in really good shape. Howard will be driving in Rollins, Polanco and Utley all day long, with protection from Ibanez and Werth to guarantee he sees the pitches he can drive. 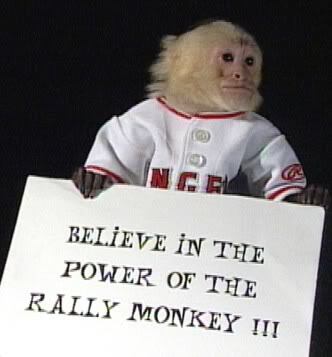 Mceezy: Anaheim Angels – Hope I’m wrong! By: San Francisco Giants – C’mon, it’s the time of year in which it’s O.K. to have high aspirations for your team! Dyslecix: Philadelphia Phillies – I’m riding them all season long! Cali4dre: Philadelphia Phillies – I’m going against everything we saw in last year’s WS, all because of the upgrade of Halladay at the top of the order. I don’t think losing Cliff Lee was as devastation as some people think, I think losing Kyle Drabek was actually the bigger loss long-term. But that’s why they will win now… The line-up can absolutely mash, and with Halladay and Hamels going strong in the playoffs, it’s definitely the Phillies as my favorite. This entry was posted on Tuesday, April 6th, 2010 at 8:32 pm	and tagged with 2010 season, Baseball, batting title, cy young, division winners, home runs, MLB, most, MVP, predictions, preview, rbis, Wild Card and posted in Sports. You can follow any responses to this entry through the RSS 2.0 feed. « Wayne Rooney Nick’s More then Goals!! 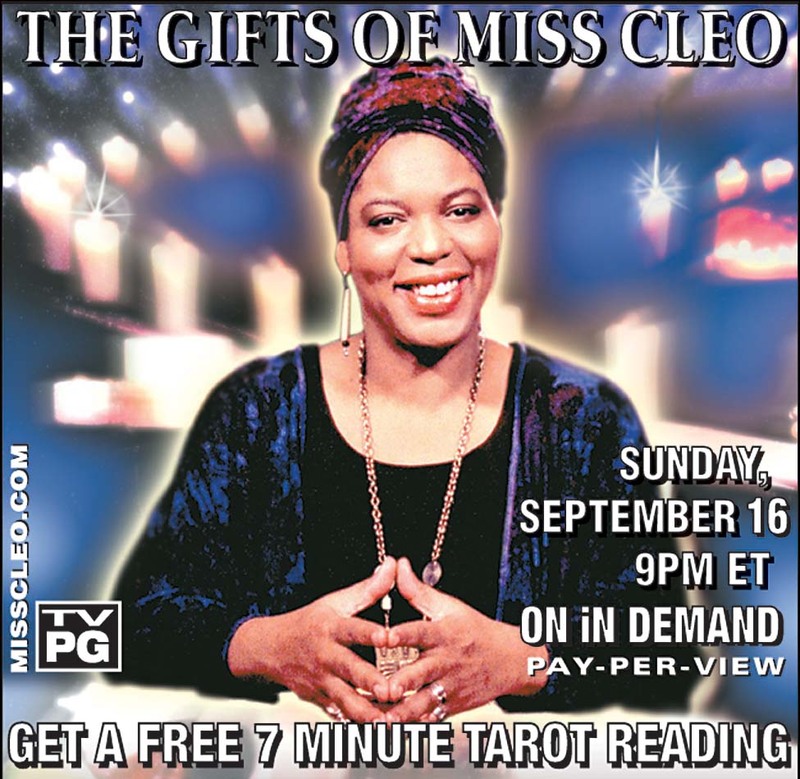 Miss Cleo did some time in the Federal penitentiary for tax fraud and evasion courtesy of the FBI and Justice Dept . LOL, LOL, LOL !!! Hence the reason for no longer any late night info-mercials . Not so sure that she’s out as of yet. Pennant winners ? Yankees in the AL , as it’s still theirs to lose . NL – Phillies and Cardinals it’s a toss up but I’ll go Phillies because of their stronger pitching rotation. World Series winners ? My head says Yankees and so does my heart ! As for the MVP’s that’s something that I find too mundane to actually deal. Because at the end of the day with the BBWAA they couldn’t give a s_it what the fans think as more often than not they’ll go with their own personal favorites . Much as the same way they do when it comes to their voting concerning the Hall of Fame in Cooperstown ! Wow, I didn’t know that’s what happened to Cleo!! That’s pretty funny! She just disappeared from commercials, and I hadn’t thought about her for a loong time until today! The singer Dionne Warwick was also embroiled in that as well. She was lucky not to have been charged with suborning perjury by the Feds. But then again she did end up having some serious problems with the IRS for none payment of taxes. Never mind that she and her cousin Whitney Houston had a ‘coke’ problem. And no I’m not talkin’ ’bout the coke you drink out of a can . LOL,LOL,LOL !!! “Crack” is “whack” alright, if you’re doing enough of it to become completely incoherent and almost incontinent. A-la Whitney and Warwick as well as Whitney’s ex Bobby Brown. My picks are the ones that I think make common sense. After all we’re not talking about reinventing the wheel are we ? That’s something best left to Al Gore . As he did once claim to have invented the internet or something along those lines ? I wonder if he knew Simon Fanning of Napster ? I can only hope that my Marlins do me proud ! They got off to an inauspicious start with the shellacking that they took from the Mets . I hope Hanley has a huge year for my fantasy team! As the pitching goes so will the Marlins . The NL East is the Phillies for the taking but I’d like to think that we’re capable of pulling off the upset ! The Twins’ new ballpark – Target Field is sensational ! They’re unto something good there in terms of the venue. More unrest coming up in MLB ? I thought once they got rid union rep ,Exec Dir. Donald Fehr things would quieten down ? Not so it appears as his successor Michael Weiner is making all of the wrong noises for none of the right reasons whatsoever ! Who’s On First ? Better Yet Who’s Minding The Business ? And Who’s In Charge Of The Asylum ? Why you jockin’ me? Get off my steez. Now that Favre has become a grandfather does that mean he’ll put off retirment from the NFL ’til 2032 ? That way he can either play alongside or in opposition of his grandson .